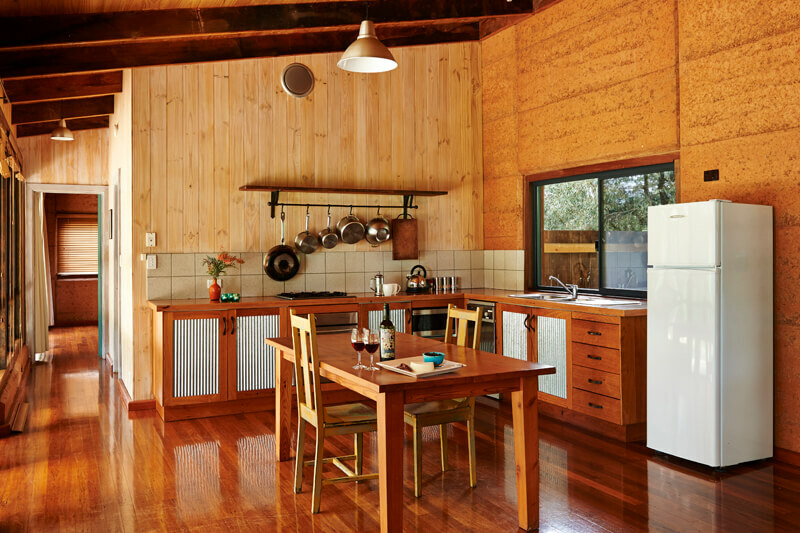 Recycled timber, rammed earth and stone and have been combined to create a luxurious retreat from which couples can explore the Margaret River region. 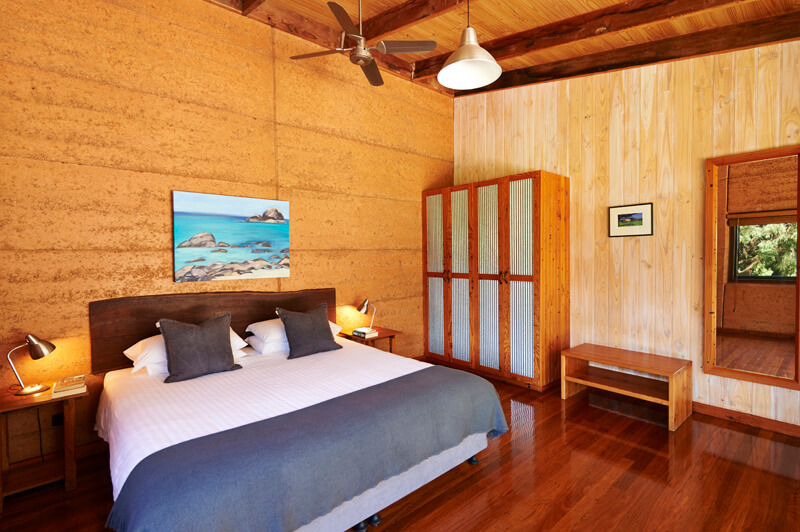 There are two luxury spa bungalows to choose from both distinctively Margaret River in style and secluded in bushland, the bungalows are private and peaceful. Perfect for a honeymoon, or romantic getaway. 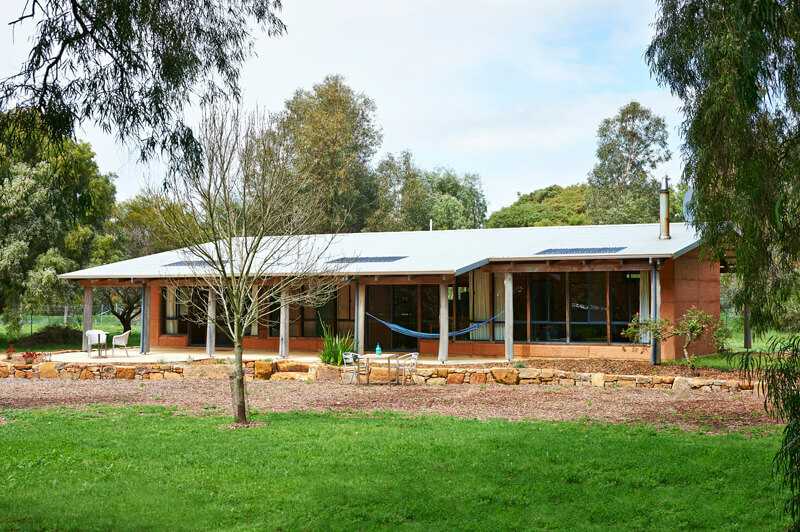 From the wide verandahs you can watch the sun rise over the beautiful Bramley National Park, or set through olive grove or remnant Marri forest. 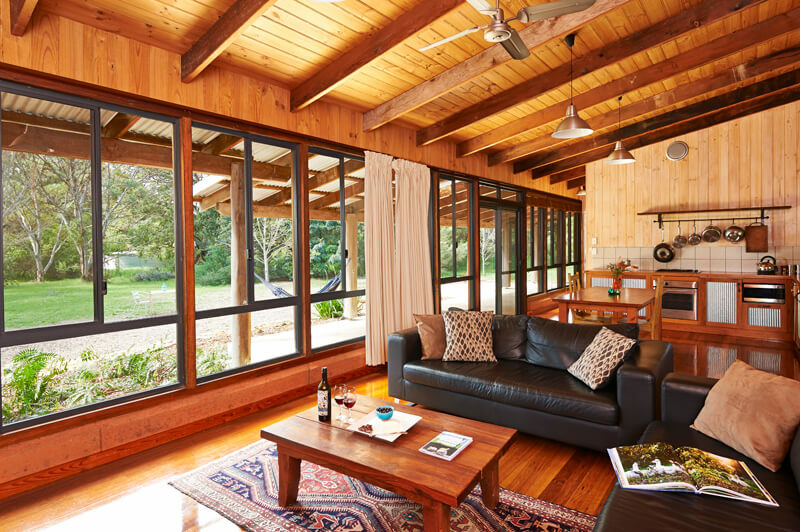 Inside you can curl up on the leather sofas, in front of the wood pot belly, with a good book and a glass of Burnside Organic Farm Zinfandel wine. 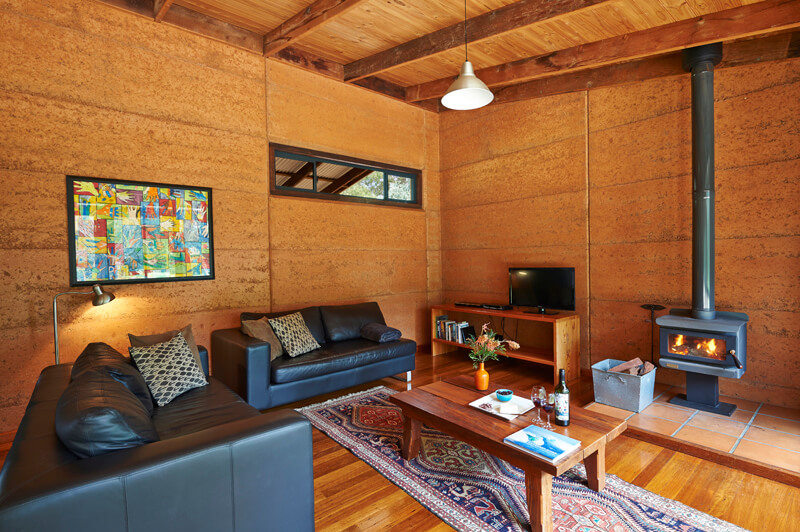 The spacious one bedroom bungalows are fully self-contained and beautifully furnished, with recycled blackbutt floorboards. The open plan kitchen has everything you could need to whip up a seasonal feast. 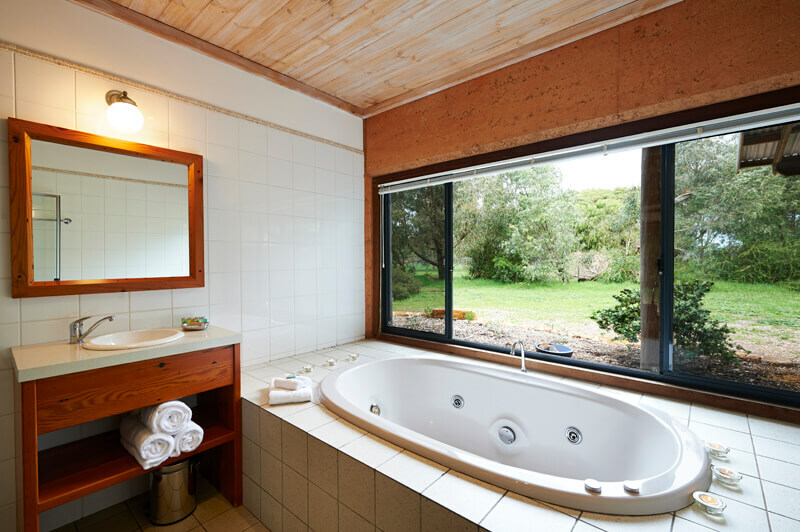 The bedroom has a king size bed and the bathroom has a large two person spa with a beautiful garden view, marble bench top and separate shower. Infants under two years are welcome and free. Cots available for $10/night. One extra child can be accommodated on an extra bed, in the same bedroom. An extra charge of $30/night applies. Please note the bungalow is only suitable for three guests total, including an infant. NOT SUITABLE FOR THREE ADULTS. Any questions please don’t hesitate to ask prior to booking. Fire bans in place Dec-April. 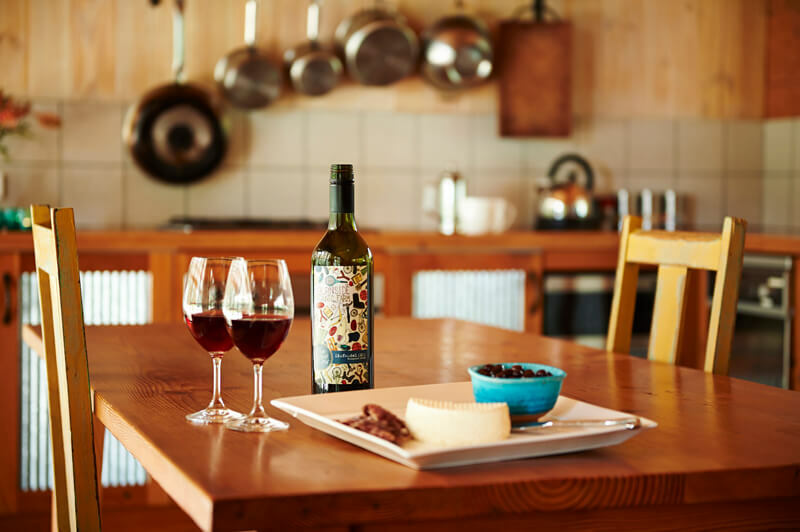 Check out our recommendations, for your stay in the Margaret RIver region. Please note that because Margaret River is 300km south of Perth, we have a very different climate. Most people find it quite cool down here compared to Perth. Our average temperatures are 10 C cooler than Perth. We sleep with a doona all year. We often have cool nights even in Summer and you will need to bring a jumper and jeans.